Have you ever been cloned? Ever wonder what it would be like to be a chicken? A monkey? A frog? 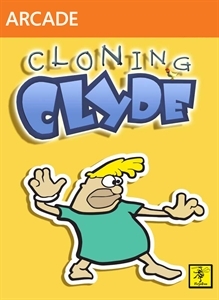 Well, wonder no more when you play Cloning Clyde, the zany side-scrolling platformer game on Xbox Live Arcade, new from NinjaBee. Cloning Clyde is a 3-D side-scrolling adventure, featuring (of course!) multiplayer gameplay. Play split screen on a single console, or mutate online with your friends across the world via Xbox Live® Arcade. Can you free yourselves from the myriad sinister traps and mutations that await you? Get Cloning today and find out! Character Variety: Play as a variety of mutant Clydes, each with unique abilities, including Chicken-Clyde, Frog-Clyde, Sheep-Clyde and more. Multiplayer: 2 simultaneous players cooperating on a single console. Up to 4 players battling it out in versus mode on a single console for great parties and family play. 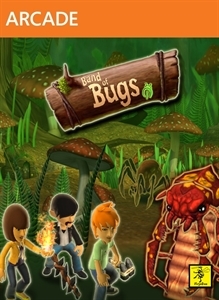 Game modes: Enjoy hours of fun with two distinct game modes including 40 cooperative levels and six versus arenas. Play online through Xbox Live with up to eight friends. Build your own medieval world in A World of Keflings. 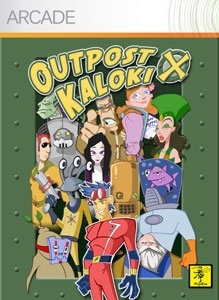 Build a robot, rescue the princess, make friends with a dragon and help a creepy witch get even creepier. Take your Xbox LIVE Avatar on a journey through exotic lands while you help the tiny Keflings build and customize their kingdoms! Play with a friend on the same console or with three frie..